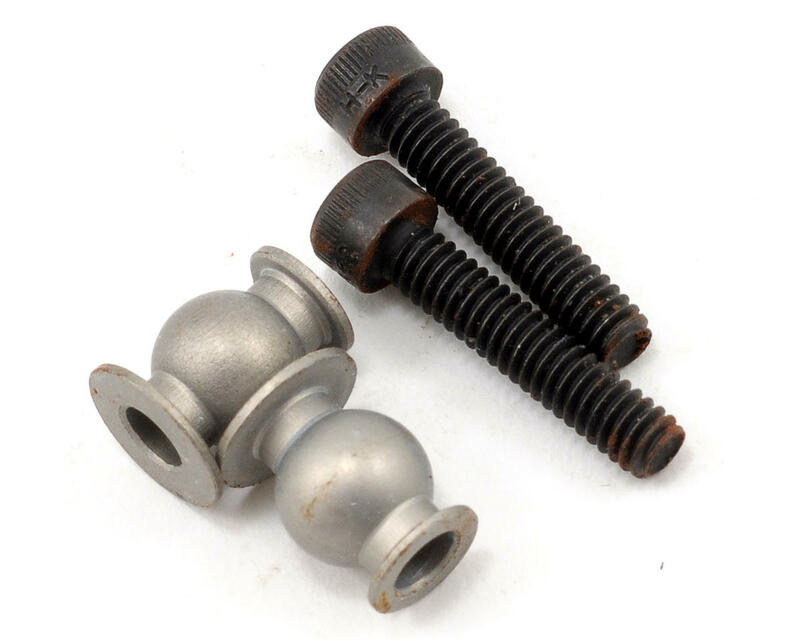 This is an optional CRC No-Pop Steering Ball Set, and is intended for use with the Losi 8IGHT family of vehicles. The Losi 8ight is a revolutionary 1/8th scale offroad vehicle with very few weaknesses. After more than a season racing the Losi 8ight, it became apparent that occasionally, the steering tie rods "pop" off the ballstuds on a glancing shot to the wheel. While this race damage is not terminal, as the link can be quickly popped back on, a great deal of time is lost in the race. 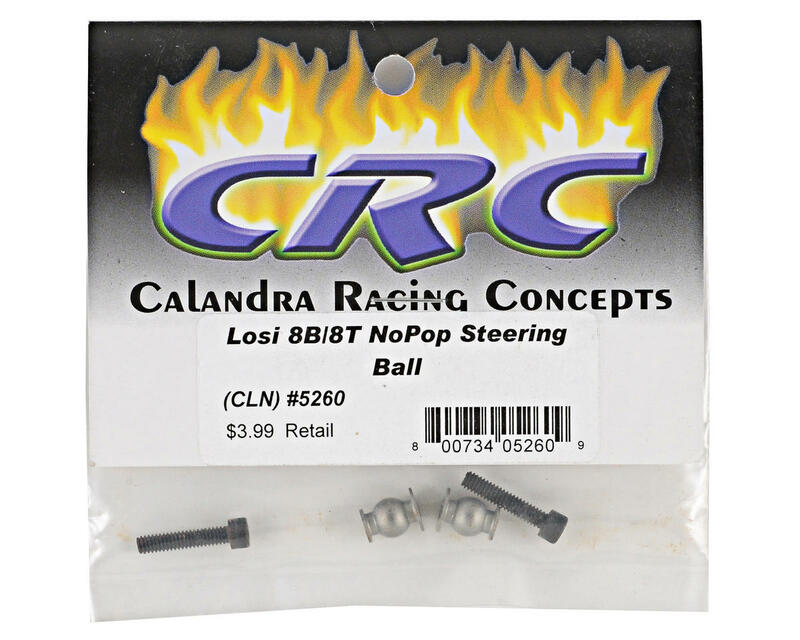 CRC's "No-Pop" steering ball captures the link, keeping the tie rod attached to the ball. It is practically impossible to cripple the car in an accident as the flange on the ball keeps the ball link firmly attached to the ball. The ball is made from 6061 aluminum and is hard teflon coated for long wear in harsh offroad applications. The kit comes complete with two "No-Pop" balls and the necessary hardware. Fits the Losi 8ight Buggy and 8T Truggy in all forms, RTR, RR and Comp kit.